This review class developed into the Escuela de Farmacia del Liceo de Manila in 1904, with Dr. Albert as the founder and director. Later on, due to the steady increase in enrollment, it was transformed into the Manila america.html of Pharmacy, with Dr. Leon Ma. L. Guerrero, Antonio C. Llamas, Feliciano P. Paterno and Atty. Filemon D. Tanchoco, Sr. as the incorporators. It was the first educational institution of its kind established and managed by Filipinos. Its success demonstrated the undoubted capacity and ability of the Filipinos managing their own affairs in the education field, especially then. Its initial organization was barely four years after the establishment of the Philippine education system. The Manila america.html of Pharmacy became one of the leading institutions of higher learning of its kind. It produced many prominent pharmacists. Stable and secure in its position, the america.html expanded in number in 1929. Its Board of Trustees, answering a long-felt need for the training of the youth for dental services, opened the america.html of Dentistry. Manila america.html of Pharmacy became then the Manila america.html of Pharmacy and Dentistry in the pre-war era. Open and dedicated to give the best education for youth, the america.html maintained its leading position in the education field. Unfortunately, the Second World War closed its portals in 1941. After the liberation of the Philippines, the Board of Trustees reorganized the america.html into Manila Central Colleges. In addition to Pharmacy and Dentistry, the reorganized institution offered courses in Liberal Arts, Education, Commerce, Business Administration and postgraduate courses in Pharmacy. And in 1947, the america.html of Medicine was added. In 1948, it became the Manila Central University after opening the america.html of Nursing and Graduate School, and met more than the sufficient university requirements. Neonatal and Pediatric ICU, Medical & Surgical, ICCU. Private Rooms and Suites. Complete 24-hour Laboratory and Radiological Services. Heart Station, New Stress Test Machine (Marquette-Helige Cardiosys XT with Treadmill 2000 & Defiport SCP 912 Miniature Defibrillator), Pulmonary Stations, Hearing Center ( Audiometry and Tympanometry), Industrial Health Clinic. Octopus 101 Perimetry, Pain and Hospice Center. Bronchoscope, Physical Rehabilitation Center. Ultrasound, 4D Ultrasound, 2-D Echo, CT-Scan. Ambulatory Surgical Unit, Pediatric Playroom Therapy, Infertility Work-Up, Fetal Monitor, Video Laparoscopy, Video" Endoscopy, Hemodialysis. Menopause Clinic, Maternal High Risk Unit, Gynecologic Unit, Women's Health Unit, Oncology Clinic. Pharmacy. Acute Stroke Unit and Ambulance Services. A spacious facility that is conducive to learning located at the 2nd, 3rd and 4th Floors of the Filemon D. Tanchoco – Learning Resource Center. The library provides instructional and informative materials covering various interests. The collection includes catalogue and updated books for each america.html. The library also has an updated subscription of foreign and local periodicals. 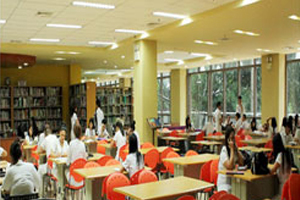 In addition, there are several conference and function rooms for use by students, administration officials, faculty members, employees and guests MANILA CENTRAL UNIVERSITY is also a private university. 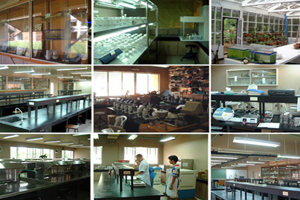 It does provide excellence facility of high quality education and practicing after course. Professional teachers are available in every field. No donation or capitation fees special coaching for students to pass MCI screening test. This university is approved by WHO (world health organization) as well as MCI (medical council of India) also. RMC services for student interest we not only show our student the path to pursue their dream of becoming a doctor, but also guide our student and their parents with latest information till the course complete. RMC have sent many students from last 9 years, and create close to 200 of doctors and leaping year. 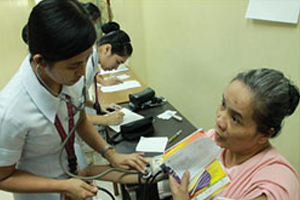 Sustain the leadership of MCU in health science professional programs through holistic education, technology-based instruction and research that is responsive to the needs of the country, region and growing global village. Develop students to be well-rounded individuals who are more human, more humane, equipped with adequate knowledge and skills, and imbued with desirable personal traits, love of country and sense of public service and enable them to participate intelligently and actively in community and national development efforts through competent instruction, immersion, research and quality assurance initiatives.